If you have additional questions about practice management, a specific practice issue you'd like to hear more about, or you'd like to share successful strategies for using technology in your own practice, please e-mail NeuroToday@lww.com. Are you working longer hours and earning less? Although it is true that reimbursement for neurology services has suffered a steady decline over the past decade, careless practice management is responsible for a much greater financial loss to medical practices. In the old days of fee-for-service, doctors could practice medicine and let office staff handle the relatively simple billing transactions. However, billing and coding regulations have become increasingly complex and the failure to understand them can lead to unfortunate economic consequences. Neurodiagnostic billing, in particular, offers a unique set of challenges that are often misunderstood and mishandled by office staff. To make matters worse, reimbursement rules vary from one payer to the next and payers have created a variety of ways to delay or deny reimbursement. 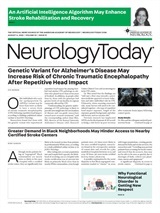 Without active input from physicians and an aggressive strategy to recognize these hurdles, neurology practices invariably suffer the consequences of denied compensation, unnecessary write-offs or rising aging accounts receivables. Just what can you do to prevent financial losses and be certain your practice collects what it deserves? Leading experts in practice management, including members of the AAN Medical Economics and Practice Committees, were interviewed here and provided the following advice. Office staff write off countless dollars unnecessarily every day. If there is an amount in the paid column, any amount, this is often regarded as acceptable. The average neurology practice participates in multiple managed care organizations as well as Medicare and worker's compensation/no-fault insurance. Each carrier has its own fee schedule but most practices are unaware of what these fees actually are. This leads to significant reimbursement losses through unnecessary write-offs. A grid that details each payer's fee schedule by CPT code can serve as a helpful tool. By referring to this matrix when posting payments, office personnel can be certain that the payer has allotted the accurate amount for payment. Bruce Sigsbee, MD, a neurologist from Hyannis, MA, and a member of the AAN Medical Economics and Management Subcommittee, agrees that knowing your fee schedule is mandatory. For example, he said, some payers engage in systematic down-coding of evaluation and management (E&M) services. Unless a practice is aware of what fee has been agreed upon, this reduced payment may be overlooked. He adds that knowing your office's fixed overhead per hour is equally important. This will help you determine whether the fee schedule is actually viable. Each explanation of benefit should be scrutinized to confirm accuracy of payments. Has the correct procedure and amount billed been recognized and entered by the payer? Has the correct number of units been noted in neurodiagnostic billing? Is the amount paid consistent with the level of service and agreed-upon fee schedule? If payment has been denied or reduced, what is the explanation? It is frustrating to get on the phone and deal with busy signals, be kept on hold, and speak with unfriendly claims processors. But this is a necessary step in recouping losses and even serves as a chance to gain valuable insight to the individual payer's rules and regulations. It also offers an opportunity to build relationships with personnel who can be of great assistance in the future. Recognize that the first-line responders at the claims processing department are unlikely to have a working knowledge of neurological billing or even E&M coding. If they can't correct the problem, ask to speak with a supervisor. Finally, if the problem cannot be resolved by phone, request a formal appeal in writing. Make sure your documentation reflects the level of service you are billing. If you are performing neurodiagnostic tests, be certain your report describes the need and rationale for performing these services and be as informative as possible. Attach documentation including consultation and neurodiagnostic reports to payers that require them. A few extra minutes spent on these tasks can save a great deal of time and effort later. Most physicians are under-coding to avoid risk of penalties. This may be the largest singular source of income loss in most practices, estimated at $50,000 a year per physician. Attend a coding seminar to become comfortable with coding regulations. The AAN hosts several programs to update physicians on coding and also offers coding tools online at www.aan.com. Select the most appropriate ICD-9 code for the clinical condition for which the service is performed. There is less chance for error when the physician selects the proper numeric diagnostic code, than when a diagnosis is scribbled down and left to the interpretation of office staff. A simple number transposition can cause an immediate rejection by payer claim adjudication software, such as, for example, the difference between the code 345.0 for generalized nonconvulsive epilepsy and 354.0 for carpal tunnel syndrome. Physicians are often careless about recording hospital visits and charges. Often, these get relegated to small loose pieces of paper or scribbled index cards. Lost charges are estimated to run $25,000 per physician each year. To help avoid these losses, you might want to consider one of the handheld devices on the market that could more easily record hospital services. Recognizing typical reasons for payer denials and anticipating them in advance can often be useful. Some carriers deny electromyography studies carrying the ICD-9 code, 354.0, carpal tunnel syndrome, for example. This is often rejected as a “work-related” injury even for patients who do not work. Obtaining a patient affidavit confirming this is not a work-related condition, when appropriate, can be helpful. When the claim is denied, this document can often be faxed to a carrier and result in a quick reversal. Additional useful administrative documents include forms detailing patient demographic and insurance information, worker's compensation/no-fault information and case status, a log of denied claims, telephone calls and actions taken, verification of eligibility, and requests for authorization for neurodiagnostic testing. Every insurance company has unique rules regarding referrals procedures, pre-authorization of specific neurodiagnostic procedures, and submission of documentation. You can cut staff time on phone calls substantially by keeping a written record for each payer and updating it regularly. Verify eligibility prior to performing the service, ascertain whether a referral is needed, and document the referral number. Prior to submitting a claim, review for missing data fields, needed attachments of additional materials such as paper referrals, and documentation. No-shows can be quite costly to a practice. They reduce the productivity of the office waiting for patients who never arrive and create additional work contacting patients to re-schedule. To reduce no-shows, try using appointment scheduling software and telephone confirmation systems. Confirming the day prior to appointment also helps remind patients to bring their referrals, co-pays, insurance cards, and other information to assure a smoother visit. The Institute for Healthcare Improvement – a nonprofit organization that focuses on developing cost-effective health care strategies – promotes the concept of open access scheduling. This method of scheduling appointments provides slots exactly when patients want them, many of them on the same day. Instead of scheduling appointments as patients check out, physicians wait for a problem that mandates urgent follow-up. Nurses make follow-up calls, leaving holes in the schedule so that new and very ill patients can always be seen. Jim Bounds, MD, one of a six-member hospital-based neurology practice in Eau Claire, WI, has used open access successfully for two years. He claims that patient capacity has risen dramatically and department revenue has increased correspondingly. Since a greater number of patients are seen when they have real problems, as opposed to being booked for routine follow-up appointments, he explained, coding reflects a higher level of service. Open access allows more new consultations to be performed, increasing revenues as well.